The Bottom Line: Avalanche conditions continue to gradually improve, however, new fresh wind slabs may form in open terrain above treeline Friday. Avoid open slopes greater than 35 degrees, and any slopes receiving wind transported snow, where it will still be possible to trigger avalanches. During extended sun breaks, watch for the potential for wet avalanches on sunny slopes. Unstable slabs continue to improve and stabilize following a natural avalanche cycle reported in the Mt. Baker zone during peak warming and precipitation Tuesday night. In addition, large loose wet avalanches released naturally during sun breaks Wednesday. Both of these avalanches types (Loose and Slab) entrained significant amounts of snow and ran long distances. The slab avalanche problem will continue to improve Friday but is more likely to persist above treeline. Wind slabs continue to be the dominant problem at higher elevations. Older, deeper wind slabs are gaining strength following Wednesday's storm. While they are gaining strength, you are most likely to trigger these larger slabs on very steep slopes, near convex rollovers, or just below cornices. New, smaller wind slabs will also form Friday. These shallow slabs will be easier to trigger and could cause older wind slabs to fail. Either way, you want to pay attention to signs of wind transported snow. Do you see blowing snow? Is there a smooth pillow like feature? 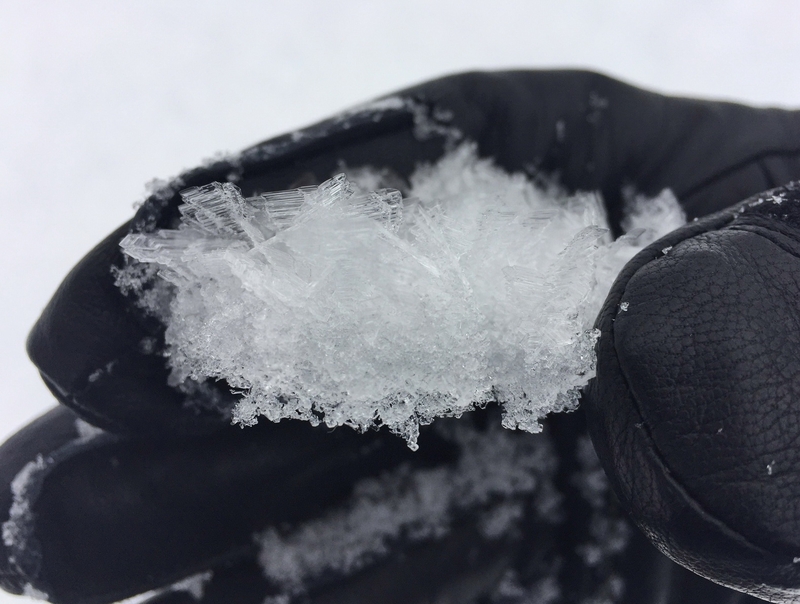 Does the snow surface feel firm and hollow? When you answer, “yes,” avoid nearby slopes greater than 35 degrees. Freezing levels will push to near 10,000 ft Friday. With significant recent storm snow, wet avalanches will be possible on steep, southerly facing slopes. Do not linger below steep, southerly slopes during periods of sunshine. Take time to consider your travel route. Will you be crossing on or under these slopes later in the day? Are there alternative routes, if the sun comes out? Are there any high consequence features, such as gullies or cliffs, that might make loose avalanches more dangerous?